Your contact lens prescription will be verified and your order shipped by a retail partner of Costco. Your order will ship only after the prescription has been verified. Allow up to 8 additional business hours for your prescription to be verified if no image is provided. To expedite the prescription verification process, upload an image of your current, valid prescription. Information regarding your contact lens order may be considered health information. By placing a contact lens order you specifically request and authorize us to include contact lens information in order-related e-mails that we send you. We cannot ship contact lenses to members in Arkansas. 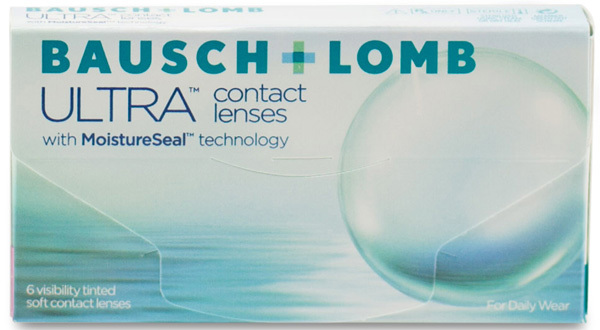 With MOISTURESEAL technology, the lens maintains 95% of it’s moisture for a full 16 hours. **State law may require sales tax to be charged on the pre-discounted price if the product is subject to tax. The estimated delivery time will be 5 - 7 business days from the time of prescription verification. Orders can only be shipped once your prescription is verified. To prevent delays and receive your contacts faster, you can follow these steps: click here. Made to Order contacts take longer to process and may require additional delivery time. How to Return: For an immediate refund (including shipping and handling), simply return your purchase at any one of our Optical departments inside Costco warehouses worldwide. If you are unable to return your order at one of our warehouses, please contact Customer Service. To expedite the processing of your return, please reference your order number.